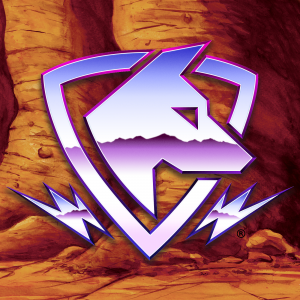 Ride with The Lightning Dogs: canines from another world; stranded on a post-apocalyptic Earth. It’s a crazy idea fueled by our favorite 80s pop culture and we’ve been recording our development of it since the moment lightning struck. Join us on our quest to build this world and launch it as an animated series. All aboard the Pain Train! Vehicle designer Max Acree is back in the studio and dishing out devious plans for new rides in The Wasteland. The Lightning Dogs are coming to Earth with a pretty serious advantage when it comes to tech, so Halloween Jack and his cronies are going to have to get innovative if they want to stand a chance. We look at a variety of designs for the Skeleton Krew’s preferred mode of transport for rolling up and terrorizing the peoploid populace: The Ghoul Bus, as well as The Underdog a tool designed specifically for sabotaging The Brutus. However, it’s not just Jack that’s kicking up dust in these freaky lands… somewhere out there chugs The Pain Train. What it is and who runs this engine of doom… well, we’ve got a lot of working theories.